When you want the day to be filled with fluffiness, glee and silly things, the Alpaca earrings are ready to be by your side. 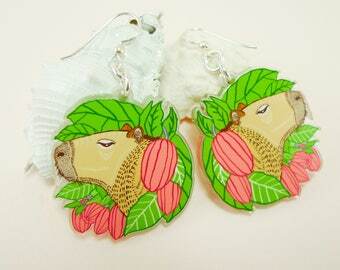 The Alpaca earrings are printed on clear acrylic and finished with a glossy varnish. 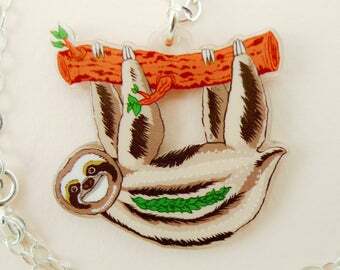 They are attached to sterling silver earwires and come with rubber backs to prevent them from escaping. The Alpaca enjoys the little things in life. Finished with a glossy varnish, these Alpaca earrings are an uplifting choice for any occasion, but will work especially well on days when you need creativity and positive energy. Yellow is an energizing color, and the cute, fluffy face of the Alpaca will bring joy to anyone who sees it! 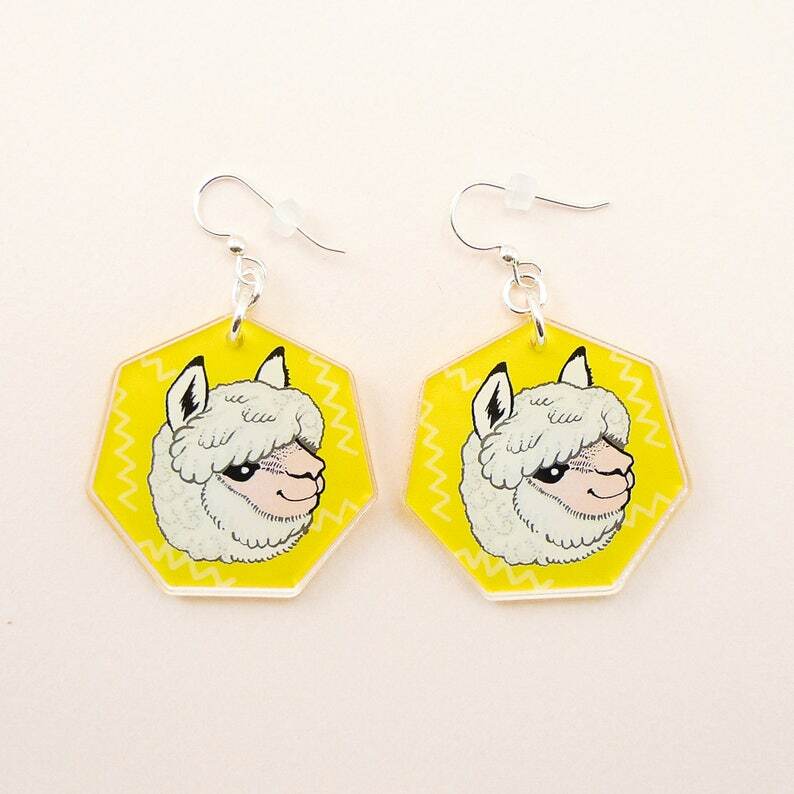 - The Alpaca earring prints are beautifully detailed and printed on clear 3mm acrylic, which is a very durable material. - As a finishing touch, the Alpaca earrings are coated with a glossy varnish , which provides protection against wear and tear & makes the colors pop even more.